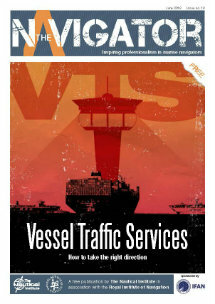 As an addition to the ECSA position paper issued in October 2013 on the European Commission proposal for a CO2 MRV system on maritime transport, ECSA issued a position paper urging the EU legislators to refrain from extending the scope to ships above 400 GT and from including NOx/others GHG emissions which would respectively result in unnecessary administrative burden on small ships and in impractical monitoring issues in the proposed EU Regulation. According to ECSA an MRV regulation should apply to ships above a Gross Tonnage (GT) limit set at a level that excludes small emitters and consequently avoids an unacceptable burden on small ships, which proportionally represents a very limited fraction of the total CO2 emissions. So it is suggested that ships above 5000 GT threshold (covering 90% of the CO2 emissions and accounting for around 55% of the number of ships calling at EU ports) will determine an acceptable ‘administrative burden’-‘environmental effectiveness’ ratio. CO2 is by far the most important GHG emitted by ships, both in terms of quantity and of global warming potential, and the potential benefits from reducing emissions of other greenhouse gases are small in comparison. Obviously, emissions of other relevant substances as exhaust gas GWP or pollutants will be reducing as the energy efficiency of individual ships improves. This is linked to the reductions in emissions that are mandated from the implementation of the revised MARPOL Annex VI. Furthermore, as rightly expressed with the Commission proposal, the measurement equipment required for emissions other than CO2 cannot be considered as sufficiently reliable and commercially available for use at sea. In particular, continuous NOx monitoring requires a much more complex technical measurement equipment as it cannot be calculated via emission factors like for CO2 emissions. Therefore, at this stage, the proposed MRV system should be implemented for CO2 emission monitoring only.